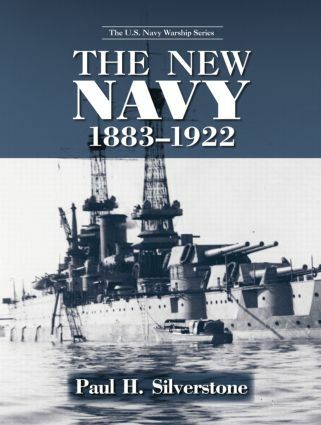 The third volume of The U.S. Navy Warship Series covers the fifty-year period from 1883-1922. In 1883, Congress authorized the first ships of the "New Navy" and ordered removal of all obsolete ships. All US Navy ships since that time have stemmed from these first three cruisers. The numbering system in effect since 1920 was effectively begun in 1886. The ships built during the next few years fought in the Spanish-American War. The success and popularity of the naval victories of that war together with the acquisition of overseas territories were the impetus for a large naval shipbuilding program. The voyage around the world of the "Great White Fleet" was a prime example of the excitement felt by the American people about the Navy. This led naturally into the fleet of World War I and its vast expansion, terminating with its demobilization after the war and the succeeding naval disarmament treaty of 1992. This book will be arranged following the standard format with sections on Capital Ships, Cruisers, Destroyers, Submarines, Mines Vessels, Patrol Vessels, Tenders, Supply & Transport Ships, Naval Overseas Transportation Service (NOTS), and other government departments (Coast Guard, etc. ).